The Museum of Jewelry in Iran has the most interesting collection of ancient jewelry and huge stones. However, you can not see them, and you can’t take pictures of them. Traditionally, Aigrette – men’s jewelry, put on a turban or other headgear in the center, in the middle of the forehead. In fact, this is an analogue of the daily crown to determine the status of the owner. 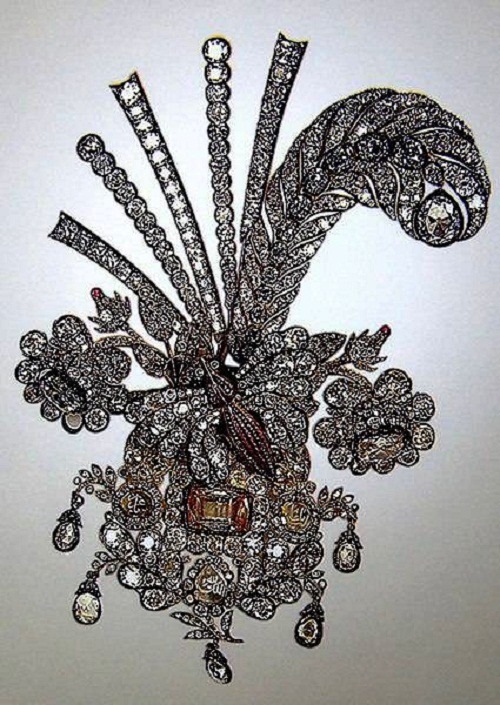 Meanwhile, beautiful Aigrettes, studded with diamonds, rubies and Opals also decorated the turbans of Ottoman sultans or the ceremonial chamfron of their horses. Aigrettes were in use from the 17th century until the late 18th, and again became popular in the late 19th and early 20th centuries. Viennese imperial treasury, located in the Hofburg Palace, holds priceless historical relics of the Holy Roman and Austro-Hungarian empires. It is descended from the medieval treasuries ancestral Habsburg dynasty, and contains one of the most significant international collections. Hofburg Palace was the winter residence of the Austrian Hapsburgs and the main seat of the imperial court in Vienna. 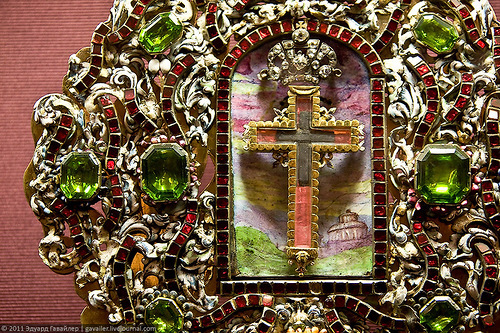 A huge collection of relics in the reign of the Habsburg dynasty served as proof of “divine” power of rulers. In those days, it was a treasure trove of personal property of the monarch. Now it is the residence of the President of Austria. Located 15 km east of Caserta and 25 km west of Benevento on the steep bank of a mountain river Martorana, the town looks impressive. Meanwhile, the city center is a semi-circle in terms of the correct diameter of 1 km. It stretches from north to south, and bounded on the west river. 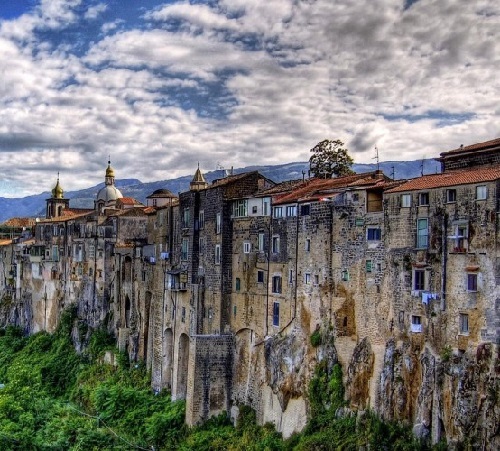 In fact, Sant’Agata de’ Goti is a comune in the Province of Benevento in the Italian region Campania. Located about 35 km northeast of Naples and about 25 km west of Benevento near the Monte Taburno. By the way, the name derives from the Gascony family De Goth who held it in the 14th century. One of the world’s largest gold statue ‘The Golden Eagle’ encrusted with diamonds goes for sale to benefit Breast Cancer. Meanwhile, a Canadian treasure hunt expert, entrepreneur and philanthropist Ron Shore commissioned it. 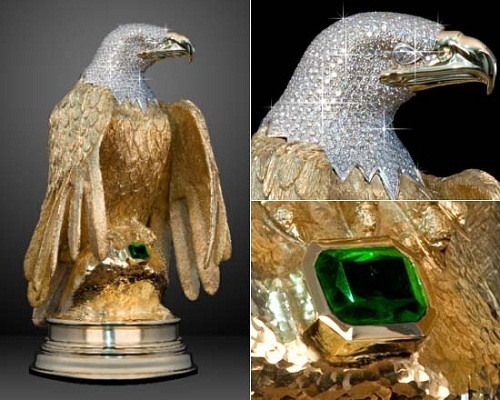 Estimated by acclaimed auctioneer of Sotheby’s statue of the beautiful Golden Eagle has a market value of $6 million. 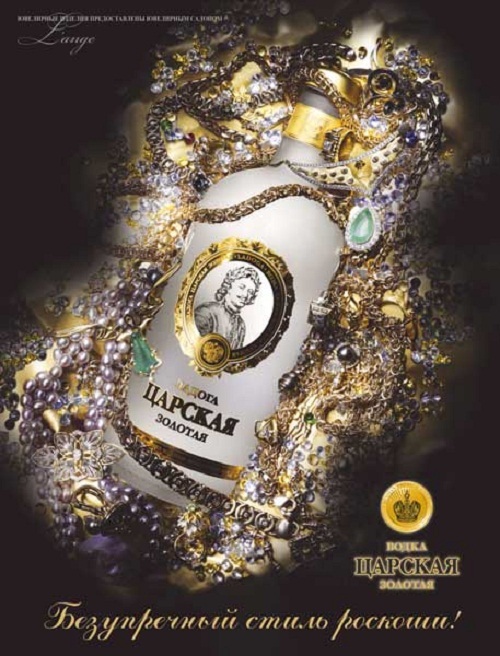 In fact, it is a part of an extensive multi-year personal mission to craft the world’s most exclusive treasure. And the next step – to donate its sale proceeds to help fight breast cancer. In particular, a fatal disease that stole the life of his sister, two days after giving birth to a girl child. 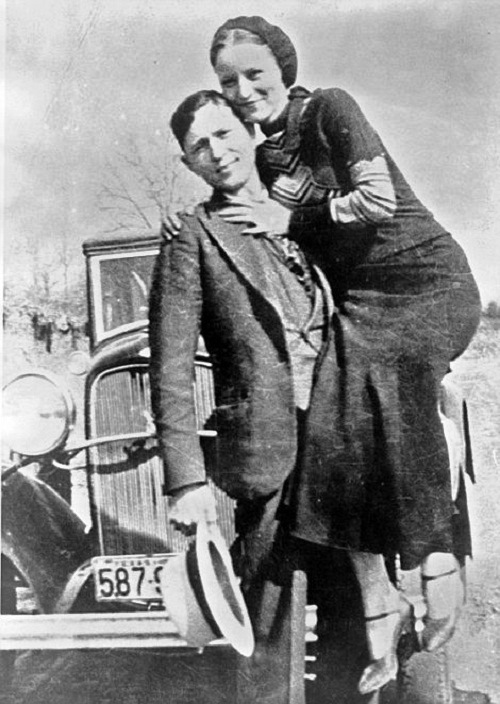 Well known, and even legendary outlaws in American history Bonnie Elizabeth Parker and Clyde Chestnut Barrow, for a period of two years (1932 -1934) committed a series of high-profile crimes. In particular, 13 murders, and countless bank robberies during the Great Depression. However, they actually captured the imagination of Americans with an image closer to Robin Hood rather than mass murderers. Finally, this infamous young gangster couple in love, ended bad – killed on May 23, 1934 on a rural road in Bienville Parish, Louisiana. And, the guns are now expected to attract sky-high bids on September 30 at RR Auction in Amherst, New Hampshire. A Colt .38-caliber revolver and .45 caliber pistol belonging to Bonnie and Clyde will be auctioned along with personal effects including Barrow’s gold watch, a letter from his brother and Parker’s cosmetic case. 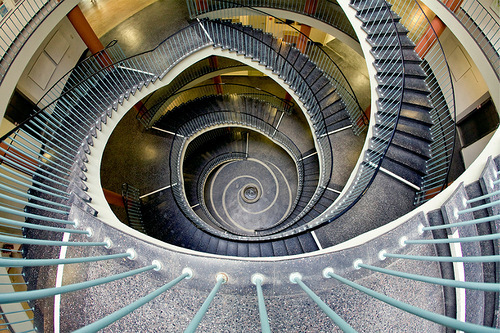 Based in Dresden, German photographer Eisfeld Nils specializes in shooting special effect of stairs or architecture. Nils has a unique portfolio primarily in building Overdue, which soon grew beyond the originals motifs and developed into his passion. The urban photography remains one of his main motives. It developed in Nils a passion for dilapidated chairs, which are always found in old buildings. Here is the set of his beautiful images of stairs.